This is a website for supporters and users of The City of Derry Airport, the principle airport in the Northwest of Ireland. We have no connection with the City of Derry Airport or it’s management. The main aim of Support City of Derry Airport (SCODA) is to promote the use and worthiness of the principle airport in the North West of Ireland. We believe that everyone in the North West, whether Northwest ratepayer, airport user or airport employee, is a stakeholder in the airport. 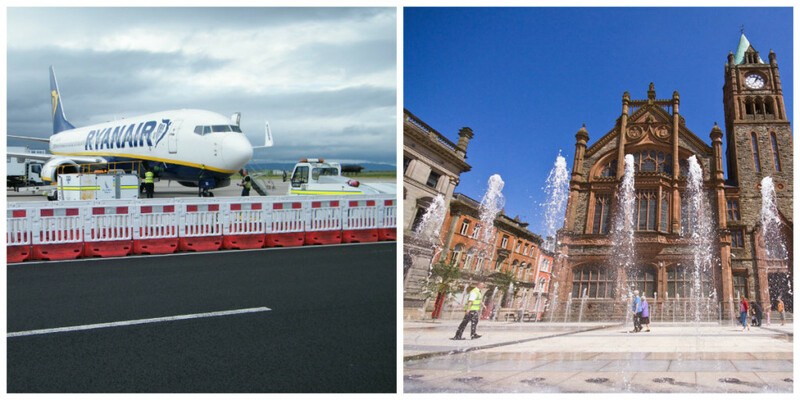 We believe that the success of the airport is vital to the vibrancy and economic success of the Northwest of Ireland, an area which extends well beyond the boundaries of Derry and Strabane District Council. We believe that the airport should be ran in a way that provides best value to every stakeholder in the airport. We believe that the management of the airport, regardless of position or rank, should be held accountable to the stakeholders of the airport. We believe that the airport should be developed to it’s fullest potential, a potential that will in turn benefit everyone in the Northwest, regardless of race, creed, colour or religion.